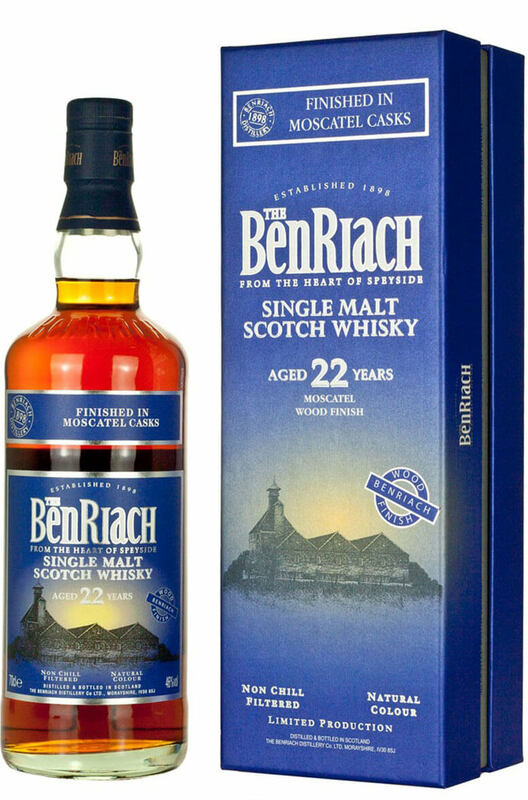 A superb limited edition Benriach that has been finished in sweet moscatel wine casks which were sourced from Portugal. This is packed with raisin fruit flavours and juicy tropical fruits. Highly recommended! Aromas (with water) A full, sumptuous nose consisting of dark orange marmalade, rich fig syrup and sweet dates. A dusting of cocoa and cinnamon followed by a gentle hint of garden mint adds a luxurious character. Types of Barrel used for Aging Initially aged in ex-bourbon barrels before being finished in Portuguese Moscatel wine barrels. An elegant and soft single malt that has a polished, smooth and refined nature. Very fresh and vibra..